In Louisiana, you are responsible to financially support your children until they reach the age of majority or graduate from high school or possibly indefinitely if they are not able to support themselves because of infirmity. That’s a big responsibility, one you don’t want to bear alone, and one you don’t want to bear for a child that’s not yours. Children inherit from their parents, so establishing legal paternity is important. Ellen Cronin Badeaux, LLC can help you get legal paternity testing done in Amite, Louisiana and, depending on the paternity test’s results, help you seek the child support or inheritance you need to take care of your child’s physical, emotional, medical and education needs. Even if a man is willing to sign an Affidavit of Acknowledgement to establish legal paternity, testing is strongly encouraged. Mail-away kits can test for paternity and can then be confirmed by a lab. If you’re in Amite, Louisiana and need help establishing legal paternity through genetic testing or seeking child support entitled to your child based on the results of paternity tests, Ellen Cronin Badeaux, LLC can help. Contact us today. 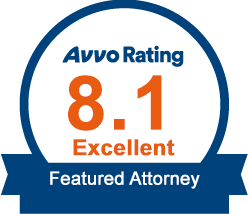 Call (985)-892-1955 to schedule a consultation with experienced family law attorneys in Amite, Louisiana.